Reunions aren’t always a happy affair. Return to the sleepy town of Valley Falls and pull back the dingy curtain to take another look at its sordid underbelly. Head back to The Hideaway Motel and discover the secrets that a killer called The Magpie left behind. As you visit one of the most notorious spots in town, uncover one of Valley Falls’ most well-kept secrets and do so while trying to avoid a local mafioso hitman who goes by the name of Vito the Smile. Deadbolt Mini Mysteries are a great idea, allowing fans of the series to return to previous stories and obtain a little more information about the goings on in Valley Falls! These approximately one hour long epilogues intrigued me, due to their low price and promise of further revelations, and I was definitely excited to see what was in store once I opened the envelope. This Mini Mystery takes place after the events of Murder in 3B and Ransom, a couple of the best stories so far, and it is interesting to see how these two boxes intertwine. The smaller nature of the game allows for the story to remain front and center throughout the puzzle solving experience. 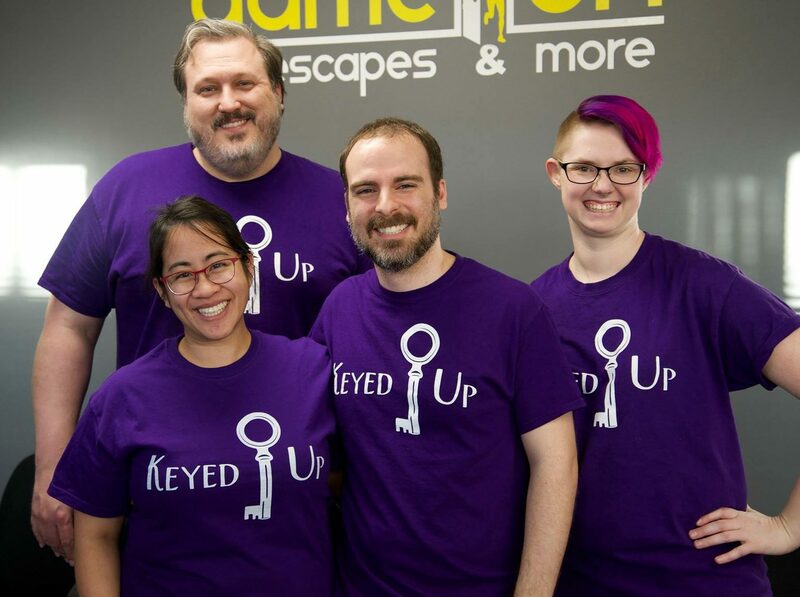 The game flow remains on theme throughout the adventure, and the solving experience is tightly woven around furthering the mystery through each successful solve. There is an excellent point where expectations are subverted to deliver further enigmas, and the whole thing ends on a satisfyingly climactic note. The puzzles themselves are a bit simpler than the usual fare from Deadbolt, but are still enjoyable to solve and tie into each other well within the confines of a more linear game. One climatic puzzle doesn’t quite follow the usual methodology for this type of puzzle, and took up a lot of our solve time based solely on its ambiguity. This one becomes difficult mostly due to the logical leap needed to make the connection, which would have been better served by an in game clue to direct. The answer makes total sense once it is solved, but since this type of puzzle tends to work differently, a clue worked into the game flow itself would’ve helped this one work better. With Return to The Hideaway Motel, Deadbolt delivers a bite size adventure for seasoned fans of the franchise. At only $12, it gives those who have experienced Murder in 3B and Ransom some further closure to the stories, as well as an adventure to solve while waiting for their next full size box! While the game is solvable without prior knowledge, I’d definitely recommend checking those boxes out first to get the full experience. You can order those boxes, a well as Return to The Hideaway Motel via Deadbolt’s One-Time purchases portal here! If you decide you’d like to subscribe to the regular, full-sized mysteries, you can get 30% off your first adventure by using the code ESCAPE30! Full Disclosure: The Deadbolt Mystery Society provided a complementary copy.